Singapore Airlines is offering ‘SIA Holidays' airtel package from 399,000 won per passenger, from February 1st to March 31st 2009. Package includes Round-trip air ticket to Singapore, 2 nights' hotel accommodation and airport-hotel transfers, price from KRW399,000 per passenger. "SIA Holidays" is a freestyle travel product with which travelers can select the hotel and schedule that suits their needs. The packages include Seoul-Singapore round-trip economy-class ticket, 2-nights hotel stay and airport-hotel transfers. Besides, customers will receive a 2-day free pass for SIA Hop-on Bus, which operates to main tourist attractions in town and to Sentosa. All customers can also enjoy various discount benefits at various participating shopping malls, restaurants and major sightseeing resorts in Singapore when they present the Singapore Airlines' boarding pass of the flight they take to Singapore. 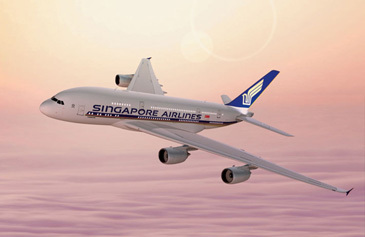 For more SIA Holidays promotional packages to Singapore and Bintan, please contact Singapore Airlines' reservation call center (02-755-1226) or visit SIA Holidays' website www.siaholidays.co.kr.